Greenpeace Netherlands has leaked six out of a total of 15 chapters of a draft European Union-Mercosur trade deal, plus a document containing detailed negotiation offers by the European Commission, which conducts negotiations on behalf of the EU. Mercosur countries include Argentina, Brazil, Paraguay and Uruguay. The original documents have been retyped to protect our sources. Trade agreements have wide-ranging implications for the environment, public health, social rights and labour standards, and yet trade negotiations are carried out behind closed doors, with only token public participation. Public access to trade documents will enable democratic scrutiny by citizens, experts, politicians, civil society and the media. The secrecy surrounding EU-Mercosur trade talks has come under fire from businesses and civil society on both sides of the Atlantic. What documents were available before the leak? The European Commission has published the EU’s negotiating position in only a few areas, but has not released consolidated texts that reflect input from both negotiating parties. The EU’s negotiating positions published by the Commission include trade and sustainable development, access to raw materials and energy, agriculture, transparency, and an annex on barriers to trade in the automotive sector. In addition, the EU has published its proposals for SMEs and state owned enterprises, the exploration and production of crude oil, natural gas and electricity, and a text on intellectual property rights. What are the objectives of the EU-Mercosur trade deal? Both parties seek to maximise market access and want to increase exports. The European Union’s focus is on exporting financial services, and gaining market access for energy companies, cars, motor parts and beverages, among others. The EU wants export taxes to be eliminated and it wants access for European companies to bid on procurement contracts at local level, including for contracts with big municipalities or federal states. In return, the EU is offering more market access for, for example, beef, poultry meat, sugar, and ethanol for biofuels. Here is an overview of EU and Mercosur trade interests as listed by the EU. And here is an overview of current trade between the EU and Mercosur and information about what sectors could be affected. What’s the importance of the meat trade in the talks? EU negotiators have offered Mercosur countries a 78,000-tonne tariff-free increase in beef imports. The European Commission increased this offer to 99,000 tonnes per year. Mercosur countries currently export about 200,000 tonnes of beef to the EU. Brazil is the world’s biggest beef exporter, exporting 1.85 million metric tonnes in 2016, which represents nearly 20 per cent of the world’s exports. Uruguay, Paraguay and Argentina, the other Mercosur countries, rank seventh, eighth and 11th respectively for meat exports. Would an increase in beef exports lead to more deforestation? 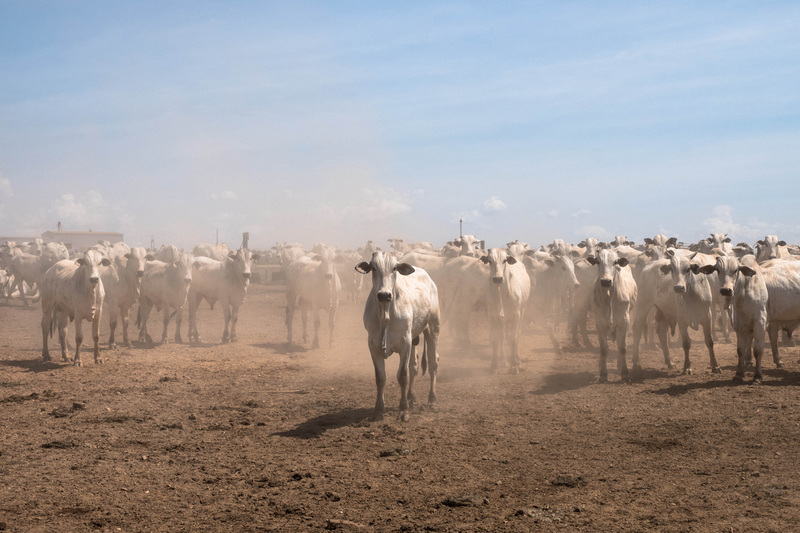 Cattle ranching and soy expansion are threatening three very important natural ecosystems in Latin America: the Amazon, the Cerrado and the Chaco regions. Cattle herding accounted for more than 80 per cent of deforestation in Brazil between 1990 and 2005. There are more cows than people in Brazil, and millions of those cows are in the Amazon region. Soy farmers regularly move into already cleared cattle grazing land, pushing up land prices. The expansion of large-scale intensive farming is displacing the cattle industry into intact forest areas. Brazil’s Amazonian region lost 37,000 km² of tree cover in 2016 (about the size of Switzerland), nearly three times more than in 2015. The Amazon rainforest helps preserve the Earth’s climate by storing huge amounts of carbon. Deforestation destroys forest ecosystems and their ability to act as a carbon sink.The environmental impacts of cattle ranching are not limited to the Amazon, or even Brazil. Covering a quarter of Brazil, the Cerrado is one of the world’s most important tropical savanna ecosystems. The Cerrado continues to lose ground to expanding beef and soy production, plus other farming commodities and infrastructure. Between 2013 and 2015, about 19,000 km² of forest were destroyed in the Cerrado. In Argentina, the expansion of genetically modified soy production for animal feed and intensive cattle raising are the main causes of forest loss in the country. Argentina is currently the 11th largest exporter of beef in the world. The country has an ambitious intensive livestock development plan for the north of Argentina, adding an additional 10 million cows, primarily for export to Europe and China. The proposed expansion threatens 10 million hectares of protected forests in the Grand Chaco region. Although the leaked sustainable development chapter of the EU-Mercosur agreement contains some vague statements about the sustainable management of forests (see article 7, page 5), the provisions outlined are by no means sufficient to address the problems on the ground. How will the EU-Mercosur deal affect trade in soy? Mercosur’s biggest export product to the EU is soy, representing 22 per cent in export value. 94 per cent of the EU’s soybean meal imports comes from these countries. Researchers expect imports of soy from Mercosur countries to increase by one to three per cent as a result of the trade deal, due to expected changes in the animal sector in the EU away from beef and poultry and towards pork and milk, which will modify the demand for feed. The trade in goods chapter contains an EU proposal for a prohibition of export taxes (Art. 12, EU proposal, leaked document number 5), which, if agreed, would eliminate Argentina’s export tax revenues on soy and in addition could encourage South American farmers to plant more soy. Document 8 of the leaked papers (EU offers on market access for specific agricultural products) shows that tariff offers by the EU are conditional on the “elimination of export taxes”. How does this relate to EU action on deforestation? The desire expressed by the Commission to wrap up the EU-Mercosur trade agreement as quickly as possible is in sharp contrast with delays in taking action to combat deforestation. In 2013, European governments and the European Parliament called on the Commission to develop an EU action plan on deforestation. Several governments reiterated this request under the Amsterdam declaration in 2015 and at the October 2017 agriculture Council. The European parliament again made the same plea in a resolution on palm oil and deforestation in April 2017. The Commission released a study in March 2018, but with no announcement on the action in plans to take to follow up the study. The EU must take urgent steps, including legislative measures, to ensure that all supply chains linked to the EU are free from deforestation and comply with international obligations and standards on rights of indigenous peoples and local communities. The EU also needs to cut off the money supply that fuels forest destruction, and redirect existing financial flows towards global forest protection and restoration and the implementation of ecological farming practices. The Commission has subscribed to the goal of ending deforestation by 2020 and the objective of limiting global warming to 1.5°C, under the Paris climate agreement. What are the implications of Brazil’s governance crisis? 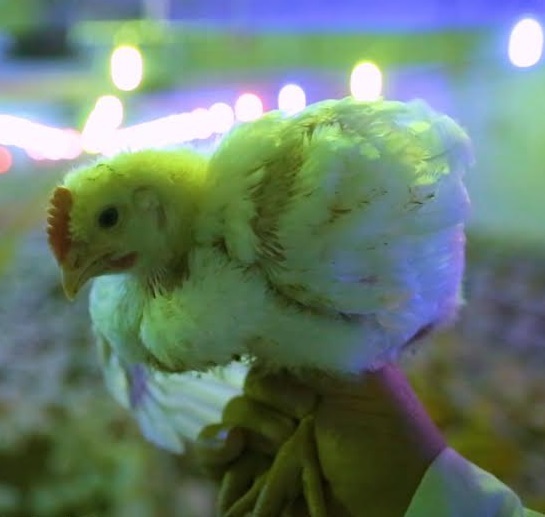 Livestock farming in the Brazilian Amazon has often used slave labour and is connected to the occupation of indigenous lands. Brazil is also the most dangerous place in the world to stand up for land rights and the environment, according to Global Witness. By the end of September 2017, 61 people had been murdered in land conflicts in Brazil, the same number for the entire year in 2016, with 79 per cent of murders taking place in the Amazon area, according to a survey by the Pastoral Land Commission (Comissão Pastoral da Terra CPT), a Brazilian human rights NGO. Brazilian President Michel Temer recently reduced fines for environmental crimes and tried to relax the definition of slave labour. The agribusiness lobby caucus controls over 200 of the 513 seats in the lower Brazilian house, and plays a central role in maintaining Temer in power: President Temer recently avoided facing trial on corruption charges after surviving a key vote in parliament. The EU suspended trade negotiations with the Philippines and Myanmar in 2017 due to concerns about human rights. Yet rather than waiting for the planned human rights impact assessment (part of the sustainable impact assessment, expected in 2018), the European Commission is rushing to conclude negotiations with Mercosur. What does the EU-Mercosur deal say about climate change? The Trade and Sustainable Development chapter contains a vague statement on climate change (Art. 5, page 4). 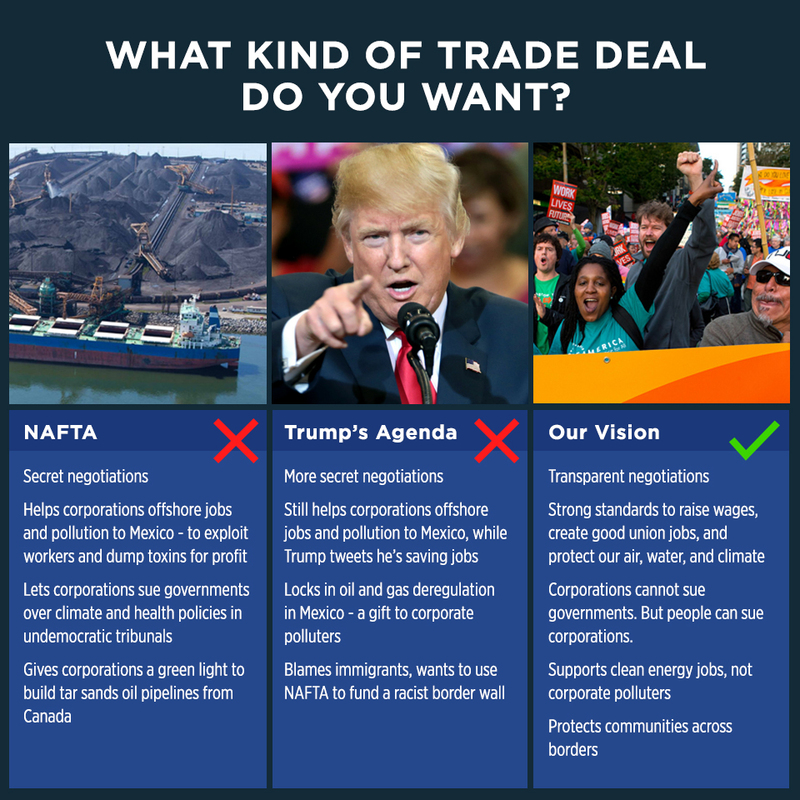 This includes a token mention of the Paris climate agreement and specifies it wants to “address the urgent threat of climate change and the role of trade to this end.” But overall, the trade agreement threatens the commitments of the EU and Mercosur countries to the Paris Agreement goals. Despite Brazil’s worst recession in history, domestic emissions of greenhouse gases rose 8.9 per cent in 2016. This is mainly the result of increased deforestation as a consequence of farming, which is responsible for 74 per cent of Brazil’s emissions. Brazil also has plans to enormously expand offshore drilling for oil. The Temer administration published an emergency bill in August 2017 that would create fiscal incentives for oil companies worth up to $90 billion (€76 billion). This would accelerate risky offshore oil extraction in Brazilian waters. If the bill succeeds, Brazil would be subsidising the exploitation of oil reserves whose development could consume at least 7 per cent of its carbon budget if global warming is to be kept below 2°C. EU negotiators not only want access to the energy markets of Mercosur via this trade agreement, they also want to prohibit restrictions on the export of oil and gas. This means that if Mercosur countries were to restrict these exports in the future, they could be prevented from doing so by the existence of this trade agreement. In November 2017, a Greenpeace investigation revealed how the UK trade minister lobbied Brazil on behalf of BP and Shell to address the concerns of oil corporations over Brazilian taxation, environmental regulation and rules on using local firms. Does the EU-Mercosur deal uphold the precautionary principle? Although the precautionary principle is enshrined in EU law as a cornerstone of its environmental policy, the consolidated text of the Mercosur agreement only gives it marginal recognition. This is of particular concern due to the environmental impact of agricultural products that Mercosur countries are seeking to trade with the EU. The precautionary principle is only mentioned once in all the leaked documents: in March 2017, EU negotiators added a reference to the precautionary principle in Article 11 of their proposal. It is still unclear whether Mercosur countries will accept this reference, because the July 2017 version of the consolidated text puts the precautionary principle in brackets as a proposal by the EU (Article 10, version July 2017, not published by the EU, but available on www.trade-leaks.org. Doc 6). Even if all parties agree to the text, this reference is in the chapter on trade and sustainable development, which is excluded from the agreement’s state-to-state dispute settlement mechanism and is therefore virtually non enforceable. Crucially, the precautionary principle is missing in the sanitary and phytosanitary chapter (document 2 on www.trade-leaks.org) and the technical barriers to trade chapter (document 3 on www.trade-leaks.org). This leaves EU regulations on health and the environment exposed to attacks from Mercosur countries. The EU has already lost two WTO cases, both filed by the United States, involving the precautionary principle as a justification for its regulatory measures. The WTO’s dispute settlement body and its appellate body found that the EU’s import ban on beef treated with growth hormones violated provisions of the WTO agreement on sanitary and phytosanitary measures (SPS). The second lost case concerns the EU’s 1999-2003 de facto moratorium on the approval of genetically modified organisms (GMOs). Again, the WTO panel found that the EU had acted inconsistently with obligations under the SPS agreement. In both cases, the EU’s attempt to rely on the precautionary principle failed. In the GMO case, all four Mercosur countries joined the complaint. The WTO has a very restrictive interpretation of the precautionary principle. Given the EU’s difficulties defending SPS measures based on the precautionary principle in the WTO, one would expect the EU to insert stronger language facilitating the adoption of precautionary measures in its bilateral trade agreements. Instead, the agreement’s draft SPS (doc 2 on www.trade-leaks.org) and TBT (doc 3) chapters have no reference to the precautionary principle. Even attempts to provide more leeway for regulatory bodies considering precautionary measures have been avoided. To a large extent, the EU-Mercosur SPS chapter boils down to a simple restatement of the highly restrictive SPS agreement under the WTO. The EU should focus on its commitments under the Paris Agreement and under deals protecting the environment, and ensure that any trade deal signed is submitted to leading principles of environmental protection, respect for human rights, fair wages and workers protection. For more information on Greenpeace’s vision for better trade, see our ten principles for trade.